When we mention testicular cancer awareness, surely the talk can’t be separated from one foundation/organization which specifically connected to the cancer. The organization was founded to promote the importance of early detection of testicular cancer along with guidance and support to families and patients. They also provide an useful resources for the medical community, and provide financial assistance as well. At the same time, the organization is also try to save lives in continuously manner. Why the organization becomes important not just for patients with testicular cancer but also for healthy people? There are several answers to make things clearer. Men in 15-35 years old tend to have a higher risk although it can strike anyone regardless of their age. 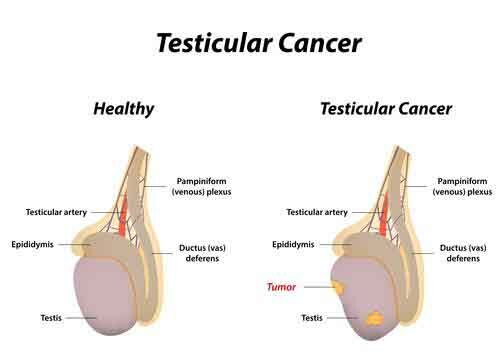 However, it is hard for us to talk about testicular cancer except we detect the cancer in early stage. When detected in early stage, one could have a higher survival rate. Statistics said more than 95% people who have testicular cancer were saved because the disease was detected early. So it is important for us to raise testicular cancer awareness in order so we could prevent something wrong that may occur in testicular area. Therefore, it is important for a man to take monthly testicular self-exams, for such thing becomes the most effective method we could have. In general, it would be impossible for someone to know if one factor has given bigger contribution for the cancer to develop. This is due to one thing: most men and boys with the cancer don’t have any relation with one of risk factors whatsoever. So basically we can learn much about risk factors but we don’t know if whether any of these factors play an important role for the testicular cancer to develop. But still, it is important for men to have an early test in order to know whether a risk factor is immanent. At this point, testicular cancer awareness became important for all men.